Portrait of Seamus, Mixed media, 6.5" x 10"
This piece is a direct result of taking time to play in my sketchbook and continue to experiment with image making. A nice little bio about regional campus alums from Miami University. 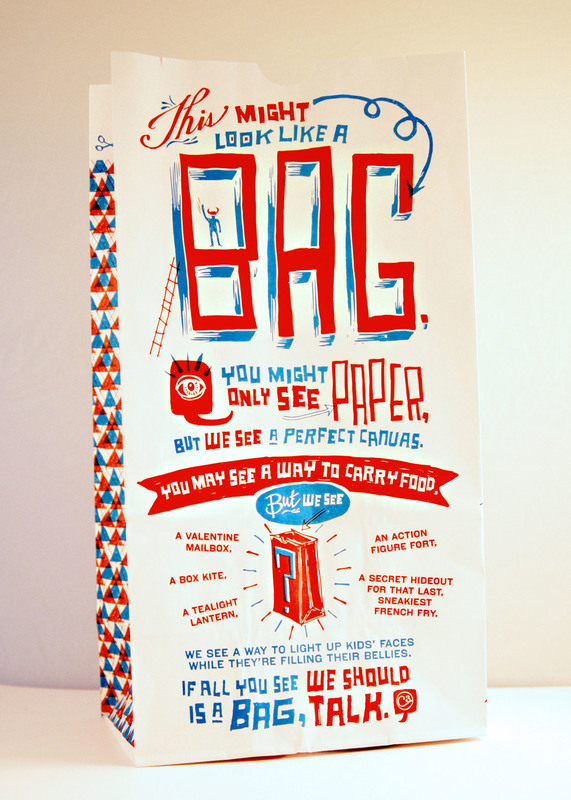 Dana Tanamachi and Dr. Shelley Gruendler judged this year's Print’s Typography & Lettering Awards, and our entry titled This might look like a bag. has been selected as a Merit winner in the Handlettered Work category. The online gallery can be viewed here. Creative Director Robin Knight, writer's Jessi Wilson and Adam Savage, Illustration/Design David Terrill.